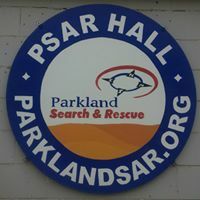 Parkland Search and Rescue Association provides a safety and survival presentation called “Survive Outside’ to schools, Boy Scouts, Girl Guides, Cubs and various other youth groups. By following three easy steps, AdventureSmart believes that outdoor recreationalists will significantly improve their chances of survival should they become lost or in distress. The Survive Outside program offered by AdventureSmart is a great way to learn the value of preparation for safety in outdoor activities. Augment your basic outdoor survival knowledge by taking the “Survive Outside- A Guide to Outdoor Safety,” program offered by AdventureSmart. In the Survive Outside program, you will learn about SAR in your region; the Code of Responsibility, including the Essentials, Trip Plan, Do’s & Don’ts; and Outdoor Travel Tips. Our seasoned, knowledgeable instructors help you tie everything together with scenarios and analyses of real-life SAR experiences. Interested in a Survive Outside presentation? Request a presentation here.